Known as the Tiger of Kai, Takeda Shingen was an ideas man, an exceptional general famous for his tactical genius, and his innovations. He was an asset to his father from an early age, playing a major role in the Battle of Un no Kuchi in 1536, at the age of just 15. When his father, for some unknown reason, announced his second son as heir, Shingen led a bloodless coup, sending his father into custodial retirement. 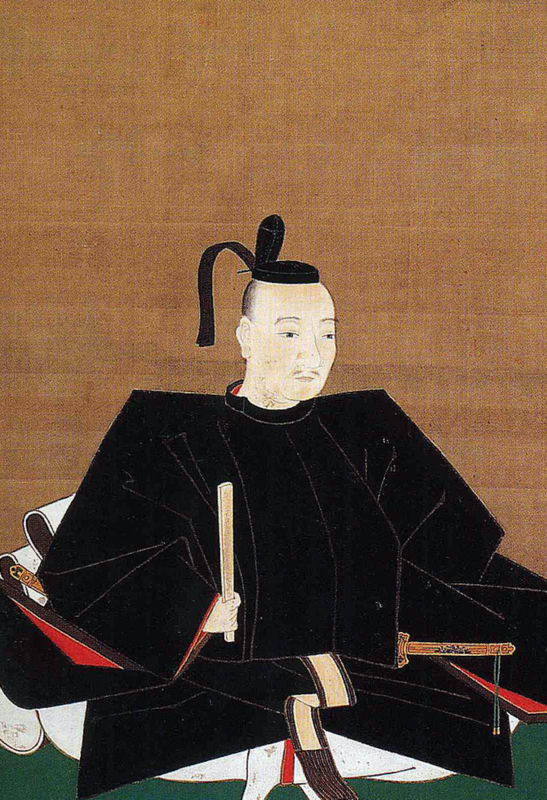 As undisputed leader of the Takeda clan, he commenced his expansionist policies, seeing action in the Battle of Sezawa, the sieges of Uehara, Kuwabara and Fukuyo, Battles of Ankokuji, Odaihara, Shiojiritoge etcetera, and the famed series of Battles of Kawanakajima against Uesugi Kenshin. 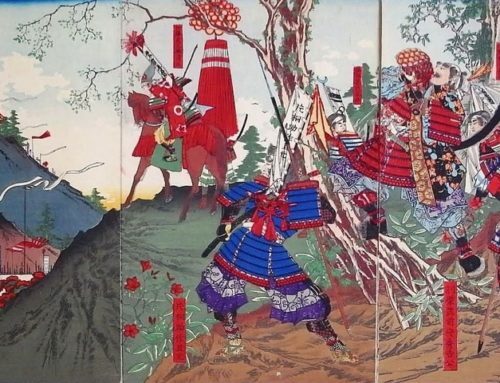 It was Shingen who decided to place all warriors wearing red lacquered armor in the front lines of his armies to psychologically intimidate the enemy, an idea later copied by the Ii clan, vanguards of the Tokugawa army. 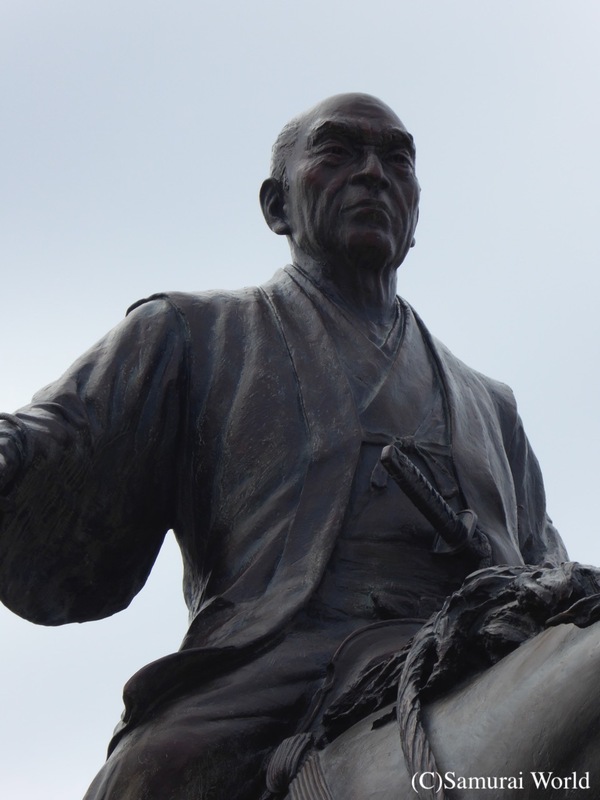 Shingen is well remembered for his development and use of the cavalry charge. 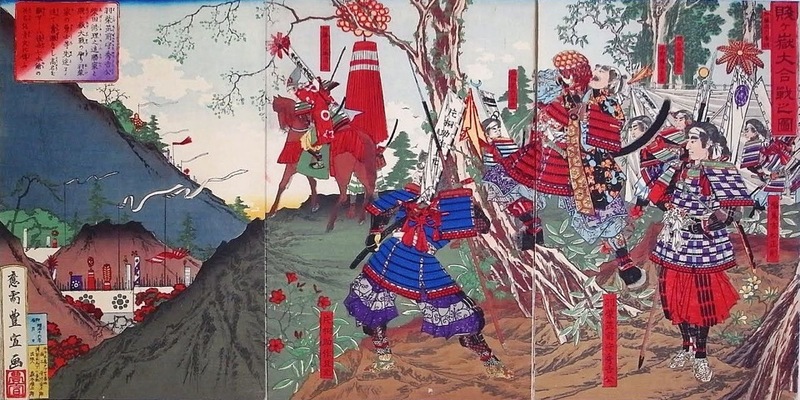 Originally, mounted samurai were primarily archers. By the 16th Century, larger armies of foot soldiers and ashigaru foot soldiers had come into use. 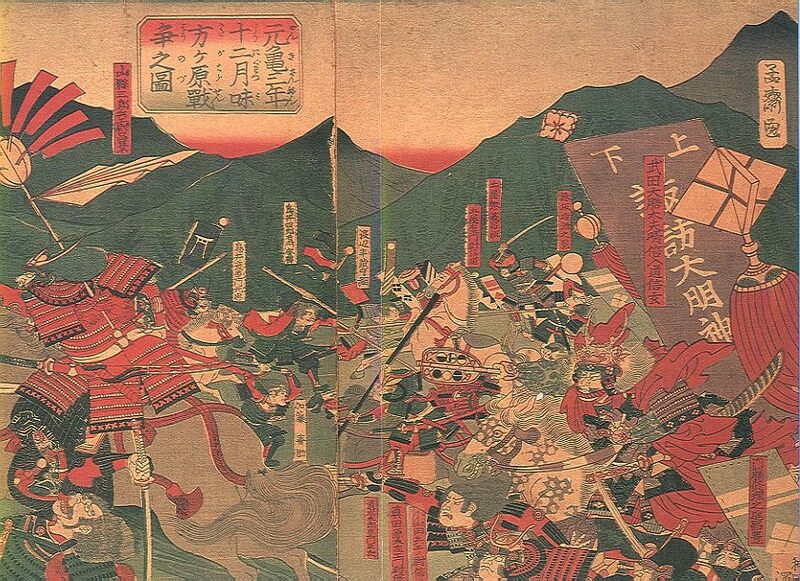 To defeat these infantry troops, Shingen re-trained his horsemen into lancers, which came to be known as the Takeda Kiba Gundan (騎馬軍団), and developed the cavalry charge that was used to devastating effect during the 1572 Battle of Mikatagahara. This new tactic was so effective, and so frightening, few would dare to face Shingen in battle. Shingen apparently created the Shingen Tsuba, (sword hand guard) also known as a Takeda Tsuba. 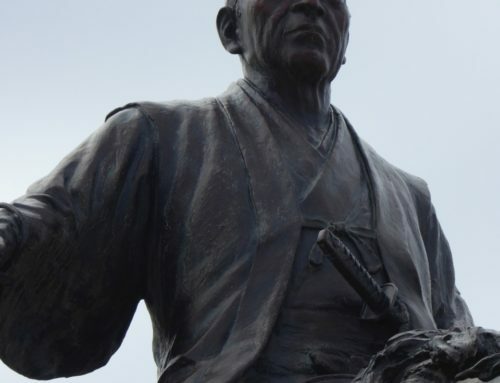 The story goes that while waiting for a battle to commence, Shingen wrapped brass wire around a large iron sukashi tsuba to keep him calm, focused and able to think with a clear mind for when the battle started. Because of this, many of his vassals followed Shingen’s lead and made similar tsuba as well. Apparently, this continued through the Edo period. He is also credited with having invented the water flush toilet! 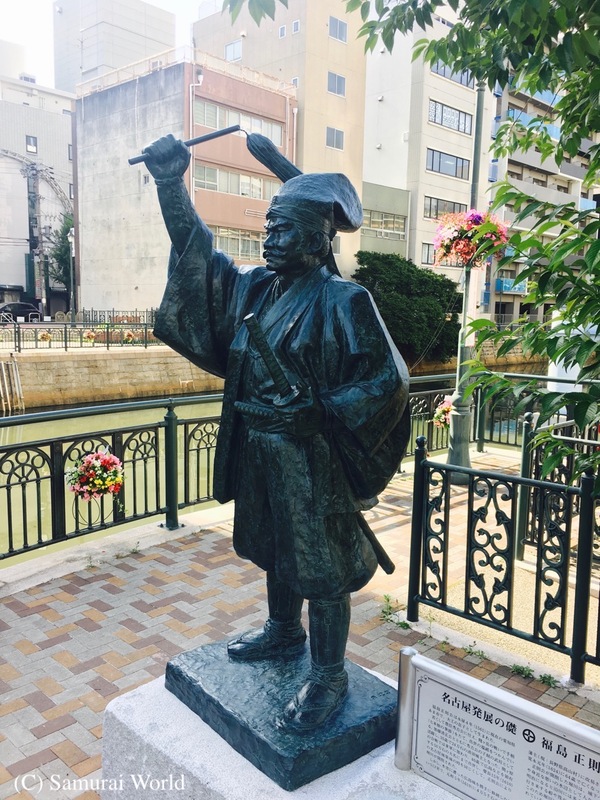 Toilet hygene, it appears, was important to Shingen, and there are a number of places in and around Nagano Prefecture that have monuments to Takeda Shingen having relieved his bowels there. Talking of flowing water, Shingen built the extensive dikes known as Shingen Zutsumi along the Kamanashi segments of the Fuji River. These walls prevented flooding, and was one of the biggest and most ambitious domestic public works initiatives of the 16th century. 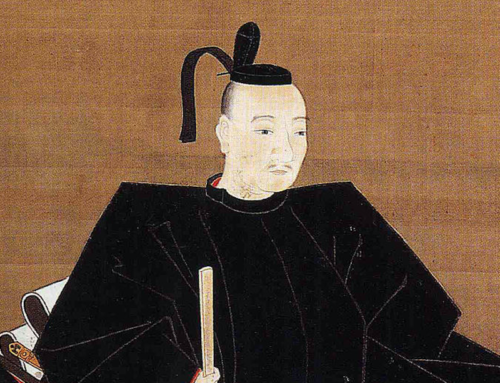 Shingen’s well thought out laws were not considered particularly strict nor harsh. He discontinued corporal punishment for most minor offences, instead adopting a system of financial fines, which earned him respect and praise from the peasants and townspeople of Kai Province. Interestingly, Shingen also had two large iron cauldrons in which to boil alive certain criminals. 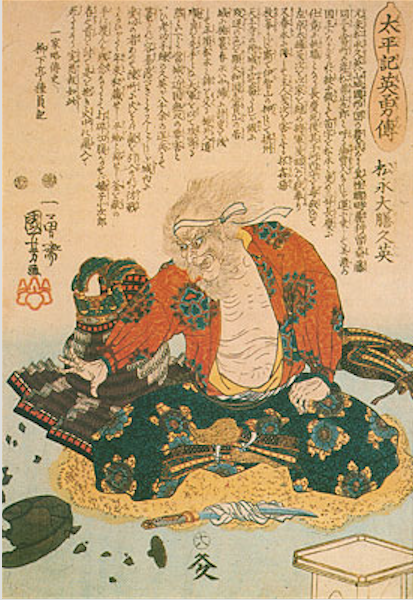 (Tokugawa Ieyasu, thinking the punishment excessively cruel, destroyed the cauldrons years later). 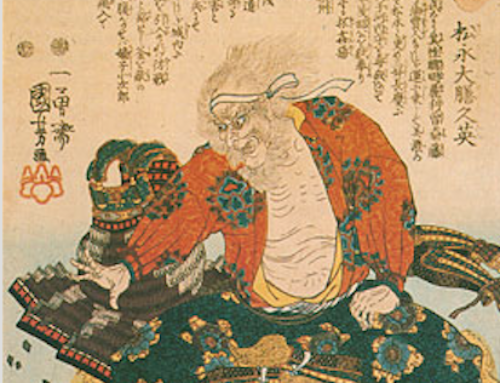 The best example of Shingens’ political skill lies in the fact that following the defeat of Takeda Shingen’s son, Katsuyori, Ieyasu assumed control of Kai, and retained much of Shingen’s style and techniques of governance, which he later adopted as the model for the Tokugawa Shogunate. 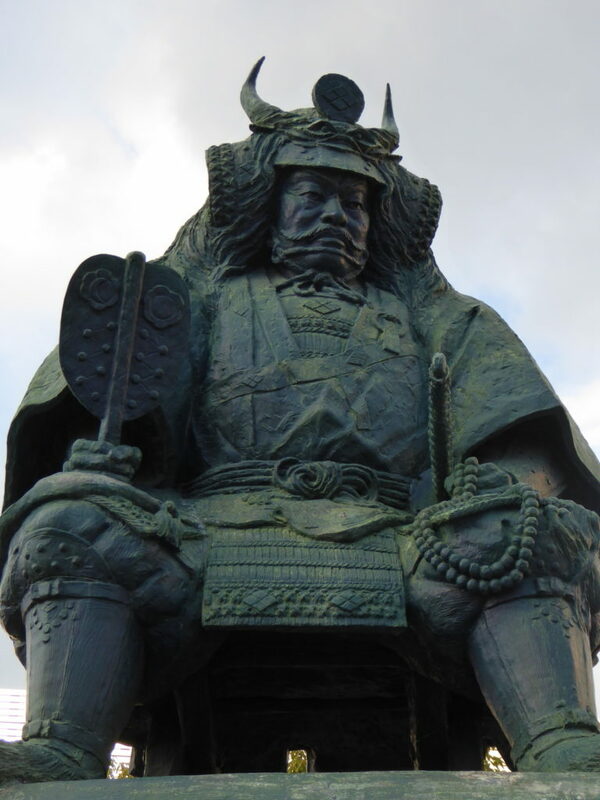 Takeda Shingen had plans on the Mikawa, and the Owari districts, (now both Aichi Prefecture) and in 1571 a Takeda expeditionary force entered the Okudaira (later Tokugawa) clan territories and briefly captured Noda Castle. In 1573, Takeda Shingen invaded Mikawa, and again attacked Noda Castle. This time, however, the castle’s fortifications had been strengthened, allowing the castle to hold out for a number of weeks. The Takeda clan sappers finally dug trenches and drained the moats. 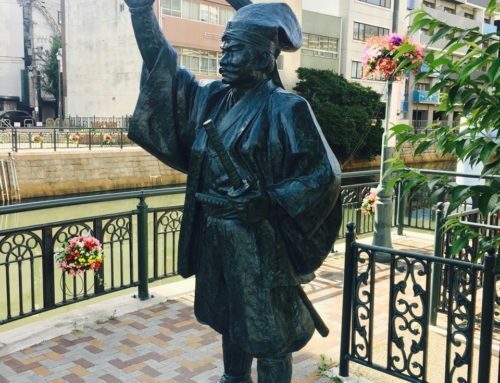 Towards the end of the siege, just before the defenders of Noda Castle capitulated, Takeda Shingen was shot on May 13, 1573 by a matchlock marksman. Shingen was hurriedly rushed home to Kai, but apparently died en route. 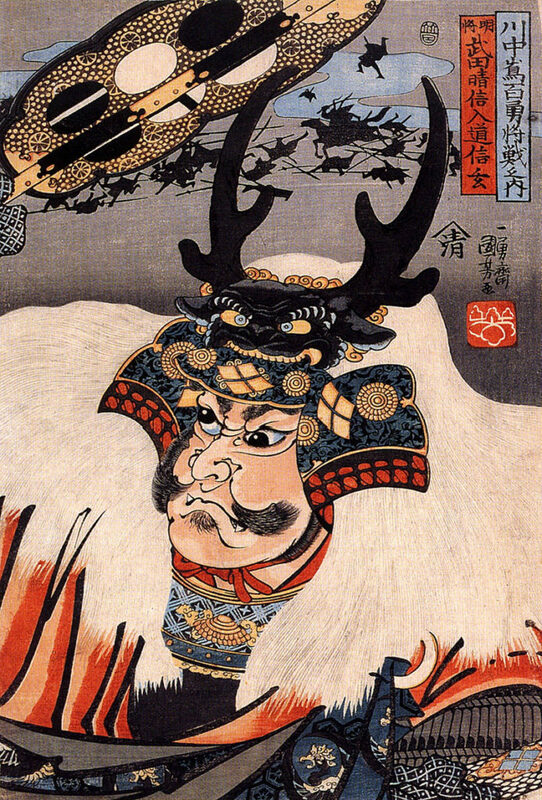 Takeda Shingen’s death at age 49 remained a closely guarded secret. 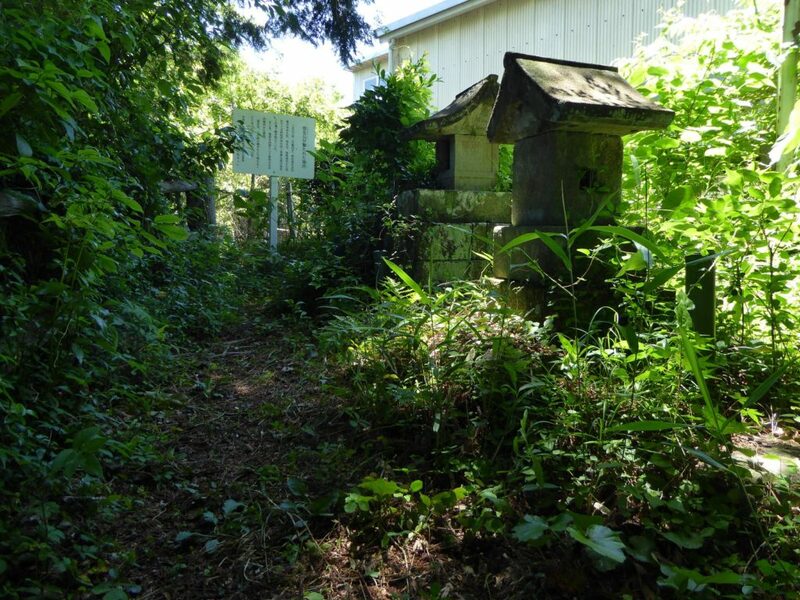 The remains of the gun believed used to shoot Shingen are kept in the Shitagahara Museum in Nagashino, Aichi Prefecture.